The resolution makes animal rights activists happy... and will have gaggles of geese honking their applause. If you're looking to dine on that popular delicacy with a foreign name, don't try to do it in San Francisco. 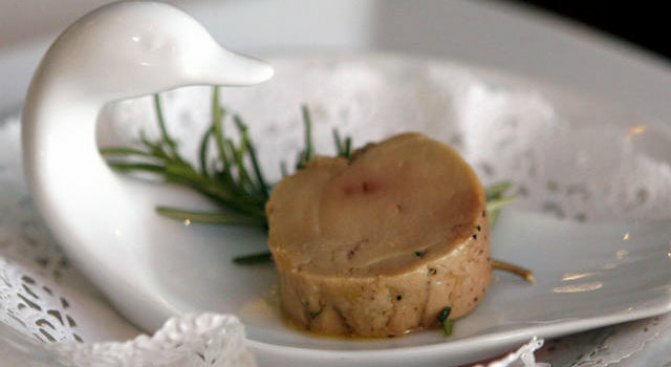 "The point of foie gras production is to grossly enlarge the duck's liver to over 10 times its normal size, causing unmitigated pain and difficulty walking and breathing," a statement from the San Rafael-based In Defense of Animals said. "This humane resolution will help to encourage restaurants to get ahead of the curve and remove this product of cruel animal torture without waiting for the ban to go into effect in three years," said San Francisco Animal Control and Welfare Commissioner Philip Gerrie. Chicago enacted a ban on the dish in 2006 but reversed it after two years.